This Thursday is Ascension Day and this coming Sunday is Ascension Sunday. What is the theological significance of Christ's Ascension? Traditionally, the exaltation of Christ encompasses four teachings which are confessed in the Nicene Creed: 1. Christ's descent into the nether world ("descended into hell," or "descended to the dead"), 2. his resurrection, 3. his ascension, and 4. his session ("sits at the right hand of the Father"). The first teaching is controversial among Protestants, the remaining three are not. The ascension is the act by which Christ brought his post-resurrection appearances to an end. The ascension signaled Jesus' departure from the disciples in a "physical" manner. He passed into the "other world" until his second coming. The Heidelberg Catechism suggests three benefits that we receive from Christ's ascension. First, the exalted Lord in heaven is our advocate in the presence of the Father (Romans 8:34; 1 John 2:1; Hebrews 7:25). Since Christ offered the perfect sacrifice for sin, he alone is qualified to be our advocate (Hebrews 10:12). He also communicates through the power of the Spirit, to all believers the gifts and blessings which he died to win for them. 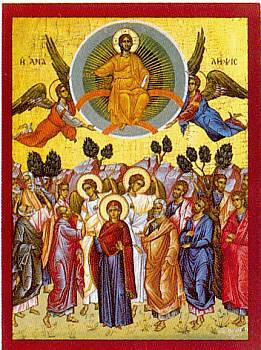 Second, The ascension indicates the exaltation of humanity itself. The Heidelberg Catechism states that we have "a sure pledge that he, as our head, will also take us, his members, up to himself." Third, It is because he ascends that we can receive the promise of the Holy Spirit. The presence of the Spirit is the sign of our inheritance as children of the Father, brothers and sisters of Jesus. It was only after Jesus ascended that the church received the Spirit (John 7:39; Acts 2:1-11). Therefore, the ascension demonstrates that the risen Lord lives in heavenly communion with the Father and that he takes an active part, through the Spirit, in the working of God in the world. Traditionally, the ascension has meant 1) the exalted Christ is the priestly advocate who intercedes on our behalf. 2) Christ shares in the sovereignty of the Father. 3) No earthly authority can exhaustively represent Christ since he is free. The Nicene Creed also states that Jesus "ascended into heaven and sits at the right hand of the Father." Session literally means "a sitting." The Old Testament portrays God as seated on the throne of the universe, thereby signifying sovereignty (1 Kings 22:19; Psalm 2:4; 99:1, holiness (Psalm 47:8, and majesty (Isaiah 6:1-4). In Psalm 110:1, the Messiah is invited to occupy the position of honor at God's right hand. The Messiah's throne is to be one of sovereignty and priesthood (Psalm 110:1, 4; Zechariah 6:12-13) and of judgment (Malachi 3:3). All of these images are background to the ascension of Christ (Philippians 2:9-11; Ephesians 1:20-23). 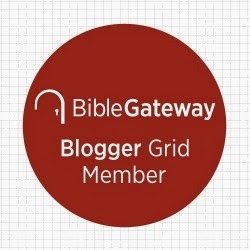 The book of Hebrews describes Christ's session as the sequel to his one complete sacrifice on earth (1:3; 10:12; 12:2). He sits as high priest after the order of Melchizedek (Hebrews 8:1; 10:12). From this position, Christ exercises his priesthood offering intercession for humanity (4:14-16; 2:!7-18; 7:17-27). Christ will do this until all things are subjected to him (10:13). His session also points toward future judgment (2 Corinthians 5:10; Matthew 19:28). Douglas Farrow states, "Christ's heavenly session may be likened to a mutatis mutandis, to a period of transitional government. His session, though heavenly indeed, is temporary, not permanent. It is an establishing of the conditions under which, and of the officialdom through which, he is to rule in the kingdom without end" (p. 139; Nicene Christianity: The Future for a New Ecumenism). Christ's transitional throne in heaven will end when he sets up his permanent throne on earth.